Every January, the Congressional Budget Office releases its Budget and Economic Forecast for the next 10 years, which in January 2017 covers the period from 2017 through 2027. The following chart shows what the CBO foresees for the portion of the U.S. government’s total public debt outstanding that is held by the public, which includes government-issued liabilities held by the Federal Reserve, U.S. banks, insurance companies, investment and pension funds, corporations, individuals and also foreign nations and other institutions. 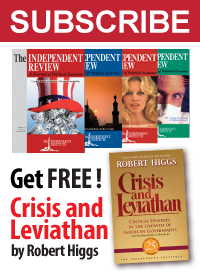 What it doesn’t include is the portion of the national debt that is held by U.S. government entities, which is dominated by federal liabilities issued to the trust funds for Social Security and the pension funds for U.S. military and civilian federal government employees. 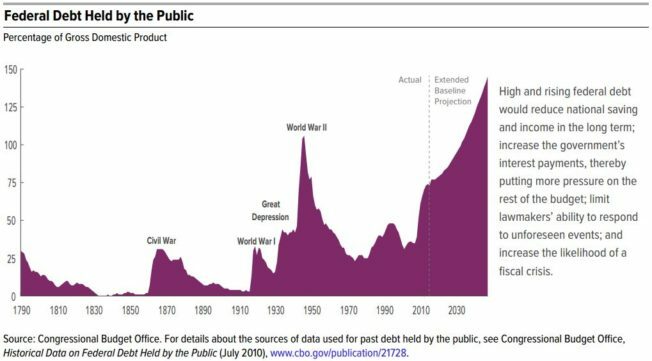 The CBO has also provided the following chart that looks at the history of the public portion of the U.S. national debt from 1790 through the present, along with what it currently projects through 2050. Here’s what the CBO had to say about the growth of the public debt projected for the 10 years through 2027 in the slideshow that accompanied this year’s budget and economic outlook. From 2017 to 2027, federal debt held by the public is projected to rise from $15 trillion to $25 trillions – that is, from 77 percent of GDP to 89% of GDP. That percentage in 2027 would be the highest since 1947 and more than twice the average over the past five decades. By adopting some combination of those approaches. It would be nice to know what path the U.S. government will take under President Trump, who has so far been all over the map as to the direction that his administration will take with respect to the country’s fiscal and tax policies. No matter what however, the CBO’s 10-year budget and economic outlook confirms that path that President Obama has left behind as his legacy in office is not sustainable, so the only thing that is guaranteed is that big changes are coming.